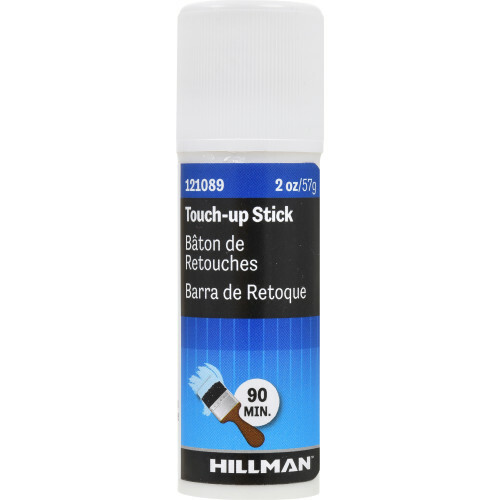 Hillman Spackle Stick is a patching compound to repair cracks in walls. Ideal for drywall, plaster, wallboard, and wood. 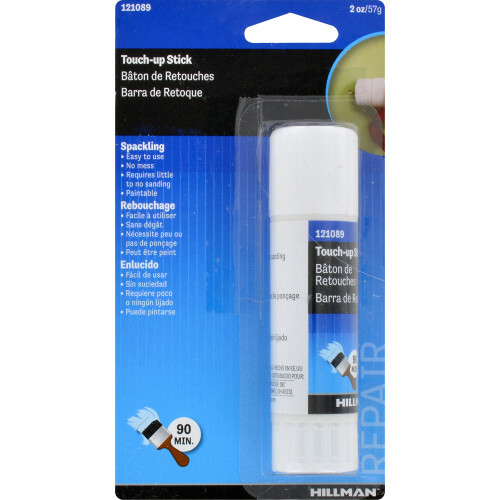 Spackle Stick is designed for easy use, that reduce cleanup time. Simply, twist bottom of stick to push 2-3mm of spackle up. 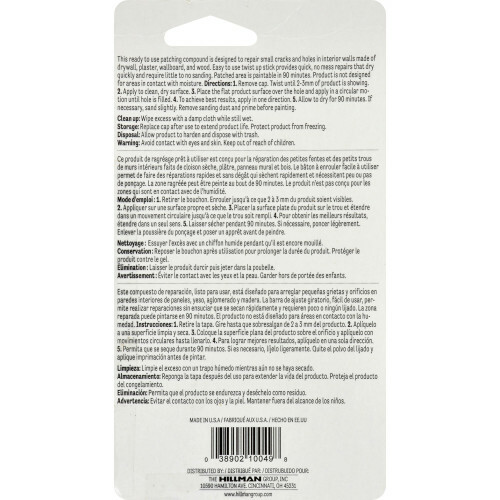 Apply to a dry and clean surface. Apply product in a circular motion. After 90 minutes of dry time, spackled surface is paintable. Tip- remove dust, and sand before painting.